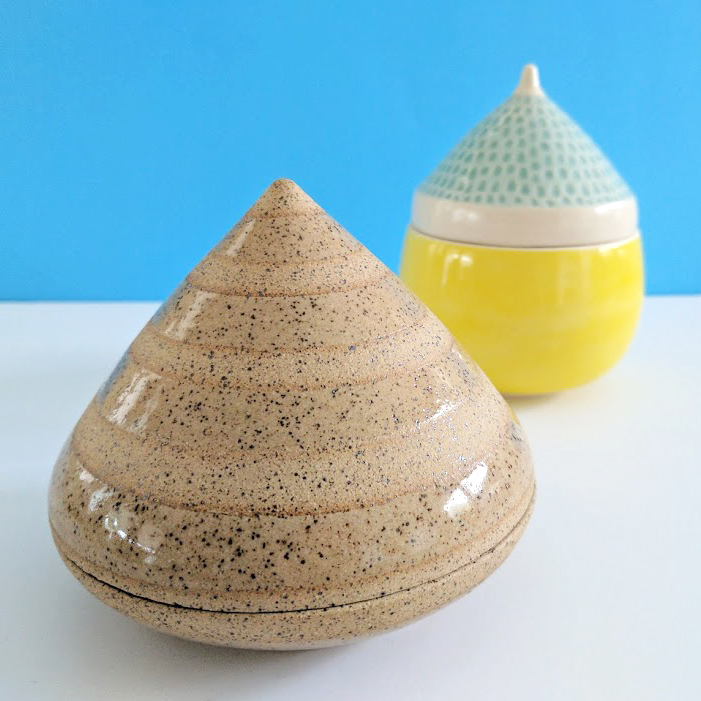 Round Designs is the creative brand of Sarah Haze, a maker living in Chatham, New York. Founded in 2016 during a time of great political and social conflict, Round Designs aims to bring moments of joy and whimsy to your life through colorful, handmade ceramics. The artworks are sometimes wearable, sometimes functional, sometimes sculptural, but always handmade in small batches, carefully crafted, and intended to make you smile. 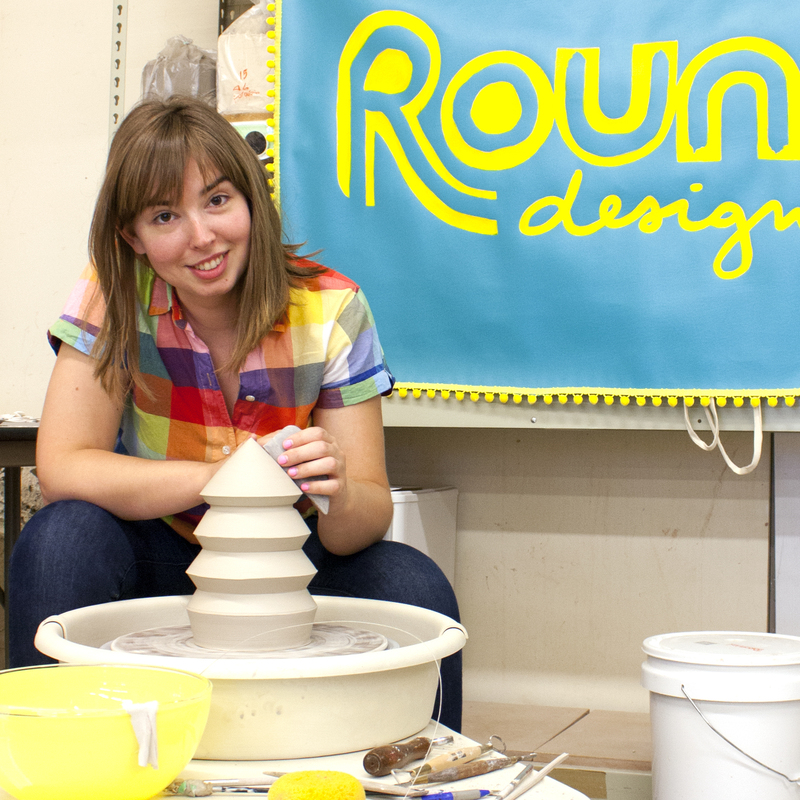 Sarah Haze is a full-time maker and the founder of Round Designs, a creative brand focused on bringing whimsy into everyday life. She cracks herself up with some of the things coming out of her studio and she loves when her customers share those laughs. She holds a B.F.A. in sculpture & philosophy from SUNY Potsdam and a B.S. in biology from UAlbany. She has attended workshops at UrbanGlass in Brooklyn and Penland School of Craft in North Carolina and spent time as artist in residence at the Arts Center of the Capital Region. She attributes her entrepreneurial spirit to apprenticeships in her youth with female small businesses owners.